On September 27, 2018 Micro Technology Solutions, Inc. hosted their 1st Annual Small Business Expo. Vendors at the Expo included MTSi, Southern Mass Credit Union, Avalon Medical Spa, Barley Wellness, LegalShield, Comcast Business, Greater New Bedford Community Health Center, Donald Medieros Insurance, OffsiteDataSync, Milhench, and Servpro. Each Vendor had their own table set up under the tent where attendees could visit, get some great swag, ask questions and gain more information about services. It was a great opportunity for attendees and vendors to network and meet some great contacts. During the event Cisco and OffsiteDataSync hosted 2 separate breakout sessions for clients to learn more about their services. At the first Session Cisco’s Katelyn Vita and Andrew Crawford presented an overview to attendees on Cisco Umbrella and Cloudlock, which is just a couple of the solutions that are part of Cisco’s Security Suite. At the second Session attendees were able to learn about OffsiteDataSync’s Backup and Disaster Recovery Solutions presented by Eric Courtwright. 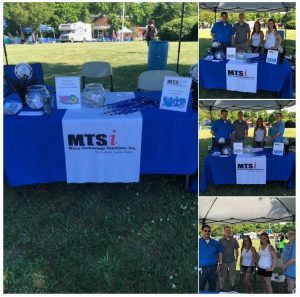 On June 17th MTSi attended the 2018 Fairhaven Road Race. 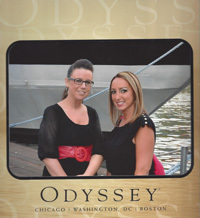 This was the second year we have attended. It’s always a great time and a great way to support our community. Mark from MTSi ran the race while Michelle, Josh P, Brian, Jen and Tenley were available at the tent to answer any questions. There was a raffle for Water Wizz tickets that all the kids were excited about. It was great weather and all the participants of the race did a wonderful job! We look forward to the next race. On April 26th, MTSi hosted an Exclusive Private Movie Premiere of the Avengers Infinity War at the Picture Show in Fall River, MA. As the movie portrays different teams coming together to collaborate on solving a problem, MTSi hopes to collaborate with their clients and there IT teams to solve issues they may be having with technology in their business. 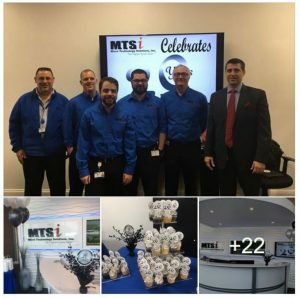 On March 16th, MTSi hosted an Open House to celebrate 20 years in business. Their were Raffles, Fun 107 even brought Bon Jovi tickets, and great appetizers. Guests ranging from Current Customers, Neighbors, Friends, and even potential customers stopped by to celebrate with the MTSi team. On November 9th, MTSi hosted the second part of our IT Security Series in an ongoing effort to inform and educate our customers on how best to protect their business from the always evolving IT threat landscape. In this session we highlighted the capabilities of Cisco’s Advanced Malware Protection for Endpoints to provide organizations with deep visibility, context and control of their endpoint security activity. Cisco Security Expert Nick Kelly was on hand to take us through the finer points of the solution, and discussed how it integrates with other Cisco Security solutions such as AMP Everywhere, Stealthwatch, Cloudlock and Umbrella. Only Cisco with its architectural approach to security can provide an integrated solution that can see a threat once and block it everywhere. Cisco AMP protects your organization before, during, and after an attack. Last month MTSi hosted an event to learn about Cisco Umbrella. We had a great turnout to learn and discuss the benefits of Cisco’s intelligent cloud based DNS protection platform. On-site and remote Cisco engineers guided us through the benefits of utilizing Umbrella and demonstrated its powerful reporting capabilities. With Umbrella you are able to add an additional layer of protection that provides intelligent granular reporting of all DNS requests. Thank you everyone who attended our Open House! This would not be possible without you. It turned out to be a great evening despite the weather. We enjoyed sharing this experience with everyone, and finally meeting some of you in person. We look forward to hosting more events in the future. Keep an eye on our Facebook Page for updates and pictures from Cinco de Micro. Attendees were able to learn how the Cisco ASA with FirePOWER Services changed the network security model. They got to have a hands-on test drive of the impressive ASA in action. A special thank you to the Zeiterion Theatre in downtown New Bedford for allowing us to host this event Center Stage!